"The hosts were good on the Highveld. 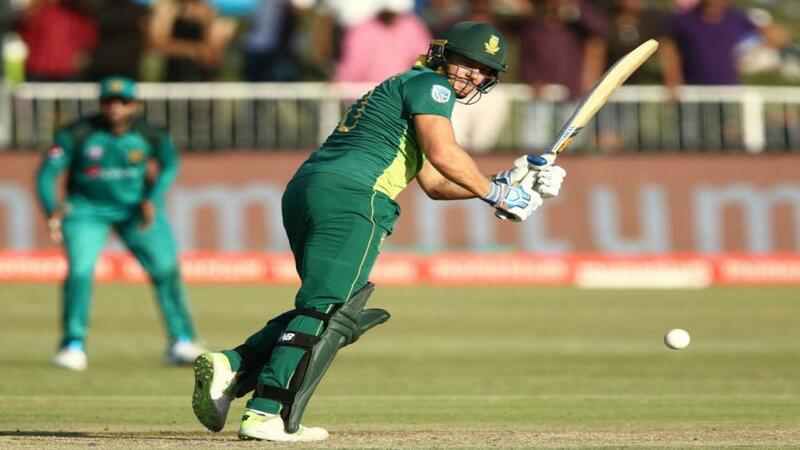 They posted an imposing 180 for three, which was always going to be enough against a lacklustre Sri Lanka batting line-up"
South Africa skipper JP Duminy said his side are looking to finish the series "on a high" after taking an unassailable 2-0 lead. But it is hard not to reckon thoughts are in the future, whether that be the Indian Premier League or the World Cup. Certainly Chris Morris will be thinking of both. He found form at just the right time to remind Delhi Capitals and his national side of his prowess with the ball. He's got the second best strike rate of any South African in the last two years and took Andile Phehlukwayo's spot in Centurion. The hosts were good on the Highveld. They posted an imposing 180 for three, which was always going to be enough against a lacklustre Sri Lanka batting line-up. Reeza Hendricks and Rassie van der Dussen ensured Quinton de Kock and Faf Du Plessis, off in the IPL, were not missed with half-centuries. Sri Lanka's hopes of being competitive continue to be dashed. After Isuru Udana's second over wicket, dismissing Aiden Markram, they had a sniff but van der Dussen and Hendricks quickly took the game away from them. Their chase was over after just six balls, Dale Steyn taking two wickets in the first over. 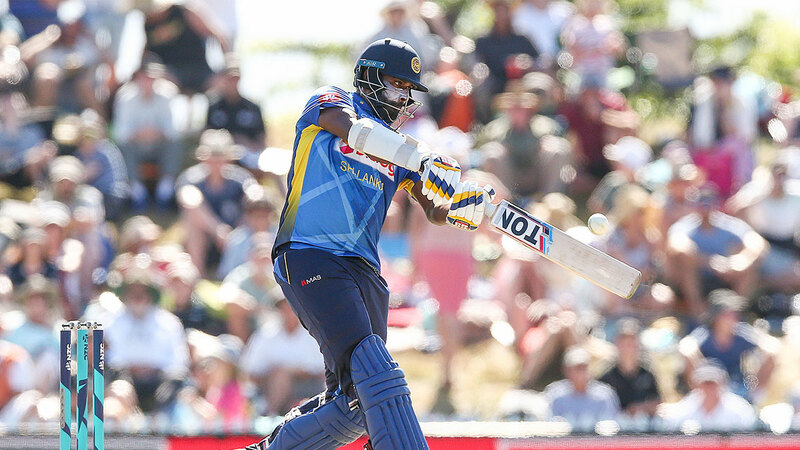 The only bright spots were Thisara Perera's swashbuckling 22 and a brutal 88 from 48 by Udana. Although that was tinged with regret for us as we called him out as value without putting our head on the block. That innings flattered Sri Lanka somewhat as they were not within 16 runs of South Africa in reality. They're a tiresome outfit in the context of this series now and they really should have been able to grow stronger as players become more experienced and accustomed to their opponents. But if we're sick of them, imagine how they feel travelling from one spot to the next to be given a thumping. There have been 13 day T20 internationals at Jo'burg. Of those, eight have been won by the side fielding first. The scores in the last five (most recent first, 1-2 denote match won by side batting first or second) read: 188-1/203-1/113-2/204-2/171-2. It's fair to say then we should expect a road. In January 2015 West Indies chased 231 to win. South Africa should expect to bust 200 again against this weak Sri Lanka attack and there should be decent odds available about them doing so. There's a chance we might get even money about more than 180. South Africa are [1.39] with Sri Lanka [3.35]. There's not much to say about those numbers. Ordinarily we'd want to take on such a short-priced jolly but it's a struggle to find the logic. Sri Lanka will need the hosts to take their eye off the ball to get a foothold it seems and even then there's no guarantee of them maintaining their position. Even a trade seems fruitless given the speed at which South Africa's price disappears. We're keen on David Miller at 4/1 (Betfair Sportsbook) for top South Africa runscorer honours. Miller, as we said before Centurion, is their best rungetter in this format in the last two years. But Hendricks and van der Dussen striking the ball so well he might not get the crease time again. Hendricks is 16/5 and van der Dussen 7/2. In February, though, Miller did win the man of the match award on this ground with a 51-ball 65 against Pakistan. As for Sri Lanka's markets Udana has been cut from 66s to 11s. That's the value gone, then. With Thisara batting at No 4 he's been cut to 9/2 and that's too skinny despite his power. Form for Morris and Phehlukwayo for top South Africa bowler. It could be a straight fight between the two considering their positions on that strike rate list. Morris got two in that success over Pakistan but Phehlukwayo pipped him with three. They are 3/1 and 11/4 respectively but it may be that Phehlukwayo has been told to put his feet up for the remainder so taking Morris now at bigger odds could pay off.